StreamingVideoProvider is a live streaming and video hosting platform that is in English and, after the recent video cdn update, it now works in China. Customers around the world can now use StreamingVideoProvider to successfully publish, protect, monetize and delivery high-quality video worldwide, including China. “The new video platform update is a response to the increasing demand for video delivery in China. The Chinese government has been tightening the noose on internet freedom almost every day. So, we have been getting more and more requests from customers who are looking for video hosting and live streaming services allowed in China. 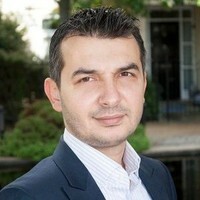 To solve this problem, we expanded our video CDN in China”, says Deyan Shkodrov, CEO of StreamingVideoProvider. Video CDN In China Mainland. The company has installed new servers at key locations in China (including Shenzhen region), enabling users to broadcast freely beyond the Great Firewall. Live Streaming And Video Hosting Services. Users can stream live and share pre-recorded video content with their Chinese audience. Full HD Video Delivery. The content can be delivered in full HD in China as well as anywhere else in the world. Responsive Player. The super-lightweight video player works on smartphones, tablets, computers and smart TVs and adapts the video stream to the viewer’s internet connection. 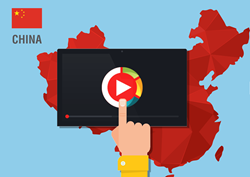 You can find more information on how you can stream your videos and live broadcasts inside China here https://www.streamingvideoprovider.com/blog/china-video-streaming.html, article that covers the use of the StreamingVideoProvider’s business video hosting and live streaming video services. StreamingVideoProvider is an affordable all-in-one online video platform that offers the full suite of products and services to publish, protect, deliver and monetize live streams and on-demand videos across the globe, on all devices. The platform is also being offered to partners as a white-label solution, allowing them to quickly and cost-effectively become streaming video service providers themselves. Resellers don’t have to write code or hire developers. They can instantly start offering video hosting and streaming video solutions to their existing and new customer base. Founded in 2006, StreamingVideoProvider currently hosts over 560,000 videos and streams over 50,000,000 minutes of live and VoD footage per year. It's a privately held, profitable company with a head office located in London, United Kingdom. The company also has branch offices in Bulgaria and Ukraine.